Over the years I have introduced my “Reading Challenge” Program to many classes of reluctant readers. Students come to school and quickly learn that their teacher generally selects the books and they will be required to read those books in order to progress. Somewhere along the way, the joy and love of reading is lost. •Begin with a casual brainstorm. 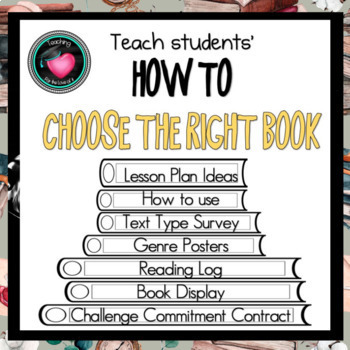 •Draw a T Chart onto the board with the headings “I Love reading” and “I hate reading”. •Ask for a show of hands as to who loves/hates reading. Challenge students to Read a specified number of novels by the end of the year (I usually say 40) but differentiate for less able readers. This is where you will have student’s complain and tell you they will never love reading and it will never happen .... Trust me, they will be the ones who come to you at some point and tell you. “You were right”. I give students a super reader lapel badge that can be ordered online as a reward and the class with the most books read each term celebrate with a party. Have students commit to the challenge by completing the contract. – Hang it in the room or put it into their reading log homework book. Introduce the reading survey that will be used to help students determine the genre of books they like to read. Most will have no idea. There are several ways you can go about the survey. I like to give the survey without the Genres labelled so they are not swayed by what they think they like. After completing the survey I get them to write the genres in and circle the ones that most answers are yes. They then highlight that Genre as one of their likes. 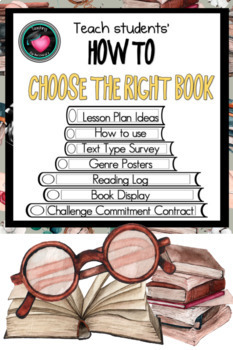 Use the Genre posters and discuss the different text types and example books. Visit the school library and have the librarian talk about where to find the different Genres. Choose your books. I always tell my kids that it is ok to put a book back after reading 3 chapters and they haven’t been “hooked”. Introduce the reading log. I create a booklet for this to cover a term. Sometimes I use this, sometimes I don’t. This year students have to come and tell me a few things about their book before being able to place a sticker on the sticker chart. Keep a record of the number of books students have read on a class sticker chart. I like to print in A3 and laminate. Once a sticker goes onto the chart, they receive a printed book spine to fill in with the book title and author. I encourage them to colour it like the book they completed. I then have a display of books like a bookshelf across one of my walls.